This weekend Paralympic gold medallists Josef Craig MBE and Jessica-Jane Applegate MBE will join 180 disabled swimmers at the Nationwide Junior and Youth Swimming Championships 2013. The event held at Ponds Forge International Swimming Championships in Sheffield is an annual opportunity for the nation’s best youngsters to compete over a 25m short course.Delivered by Disability Sport Events (DSE) – an English Federation of Disability Sport (EFDS) programme- the event is free for spectators on 2 and 3 March. This year’s young stars include Josef Craig MBE from Jarrow in Newcastle (South Tyneside SC). Josef topped off an amazing year, when he was awarded with the BBC’s Young Sports Personality of the Year in 2012. He was just 15 years old when he became the youngest ParalympicsGB gold medallist at the London 2012 Paralympic Games. On his Games’ debut, he returned home with gold in the S7 400m freestyle event. He broke the world record in the qualifying rounds as well as in his golden performance. “I always enjoy these championships. I love Sheffield- it’s one of my favourite pools, I get to meet up with all my friends and Team East coaches. My life hasn’t changed too much since winning gold as I still have to do everything everyone else does”. To other disabled swimmers thinking about taking up the sport, she added: “It’s a very hard sport but you meet great people. I’ve been supported really well and competitions like these are fun”. 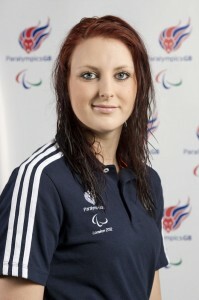 Other contenders for medals in Sheffield include Hannah Russell (Kelly College SC), also a medallist in London. The 16 year old from Ottershaw in Surrey took silver in the S12 400m freestyle. In the 100m butterfly, Hannah won her second medal of the Games- a bronze. The Minister for Disabled People Esther McVey MP will attend on Sunday morning to present the Outstanding Performances in each age group, as well as the highly contested Regional Team Trophy. This will be the last event sponsored by Nationwide Building Society as part of the “Creating Champions Together” programme. Both Nationwide and Disability Sport Events have enjoyed a successful long term partnership for the last six years. Through the athletics and swimming programme, they have ensured many more disabled people can compete at all levels, enjoy sport around the country and be spotted as potential talent. “Nationwide’s support for this event has spanned many years and it has been a crucial part of our investment in communities. We are extremely proud to be associated with the English Federation of Disability Sport and cannot fail to be impressed by what has been achieved throughout this long standing partnership. The success of last year is testament to the commitment of those who work tirelessly to drive inclusion, aspirations and achievement for this country’s disabled athletes”. Other partners assisting the championships are British Swimming, Ponds Forge and the Sheffield City Council’s Major Sports Events Unit. Be the first to comment on "Gold medallists among junior swimmers in Sheffield"